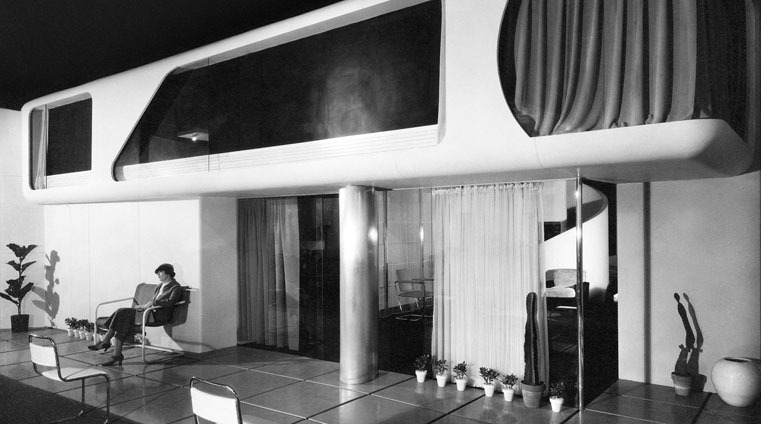 "A deep look at the pivotal decade when modernism became truly American. 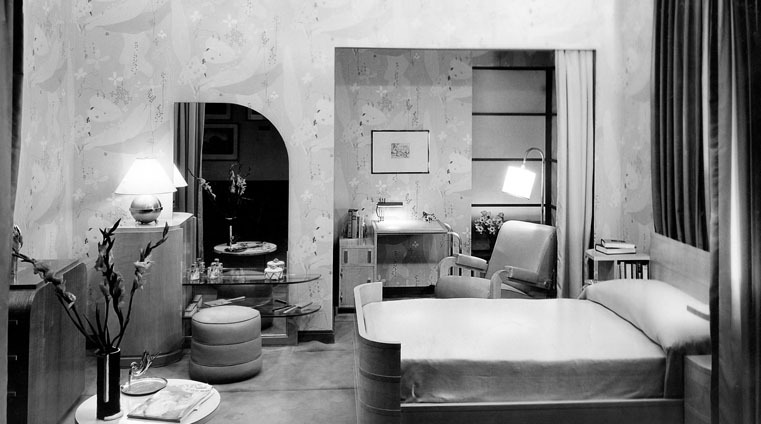 The book marches year by year through the 1930s, with glimpses into the interiors of such residences as William Lescaze's Bauhaus-inspired Manhattan studio for the Leopold Stokowskis and Hollywood film designer Cedric Gibbons's glamorous home. 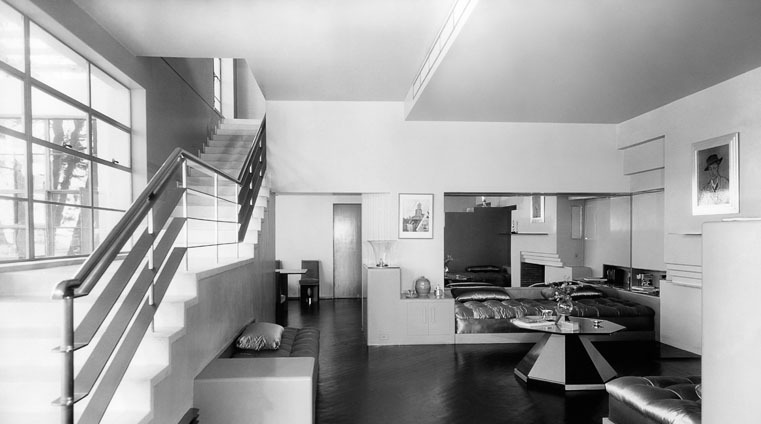 ... [though] Friedman considers her primary focus a 'narrower stream of practical modernism for the home. Here is the definitive scholarly chronicle of how it all happened." 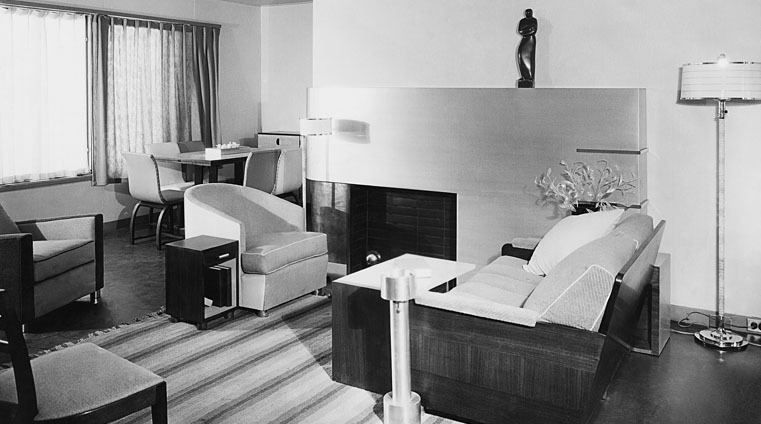 A valuable resource for design professionals, historians, and enthusiasts, this book chronicles the evolution of modern interior design in the United States throughout the 1930s. 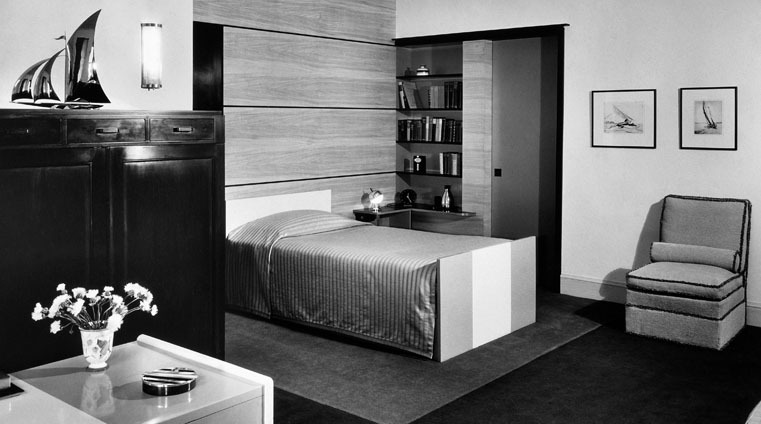 With images and detailed descriptions, design historian Marilyn F. Friedman presents more than one hundred interiors by fifty designers and architects, including Donald Deskey, Paul T. Frankl, Percival Goodman, Frederick Kiesler, William Lescaze, William Muschenheim, Tommi Parzinger, Gilbert Rohde, Eugene Schoen, and Kem Weber; set designers Cedric Gibbons and Joseph Urban; and industrial designers Raymond Loewy, Walter Dorwin Teague, and Russel Wright. 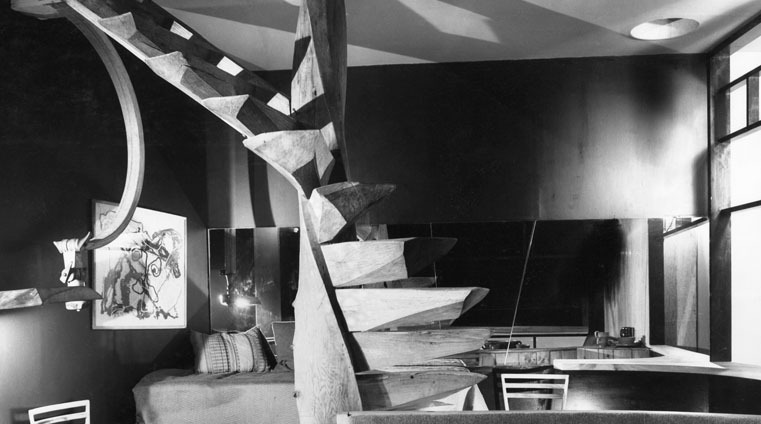 The book also highlights the work of women modernists who are practically unknown today, including Virginia Conner, Freda Diamond, Eleanor Le Maire, and Madame Majeska. 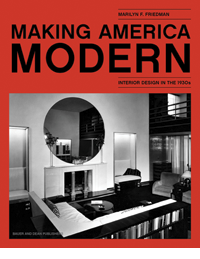 This lively and important examination of the development of modernism comprehensively details, year by year, individual projects and their impact on modern interior design in America today. See sample spreads and more information. 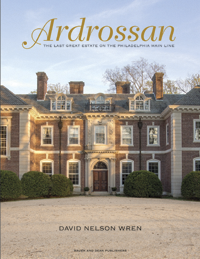 Essentially unaltered since 1912, Ardrossan stands almost alone as a reminder of the halcyon days of Philadelphia's Main Line. Built by one of America's great architects, Horace Trumbauer, Ardrossan represents a fine example of American country estate architecture, with interiors designed by the London-based firm of White, Allom & Company. 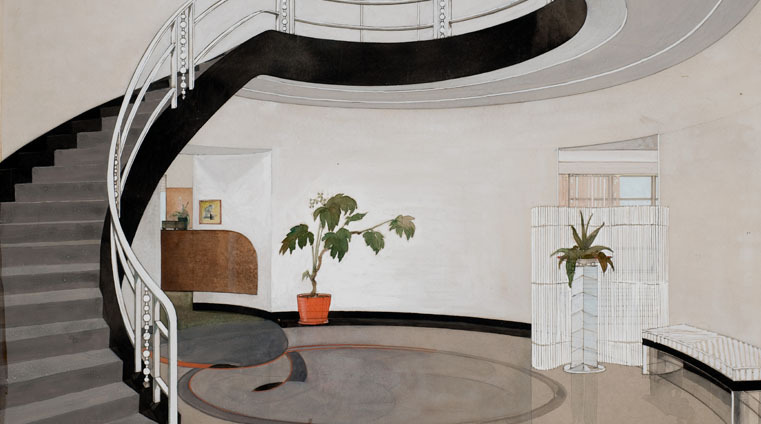 This beautifully illustrated book features never-before-published architectural drawings from Trumbauer's office, as well as family snapshots and images by celebrated photographers Cecil Beaton and Toni Frissell commissioned by Vogue, Country Life, and Town & Country. 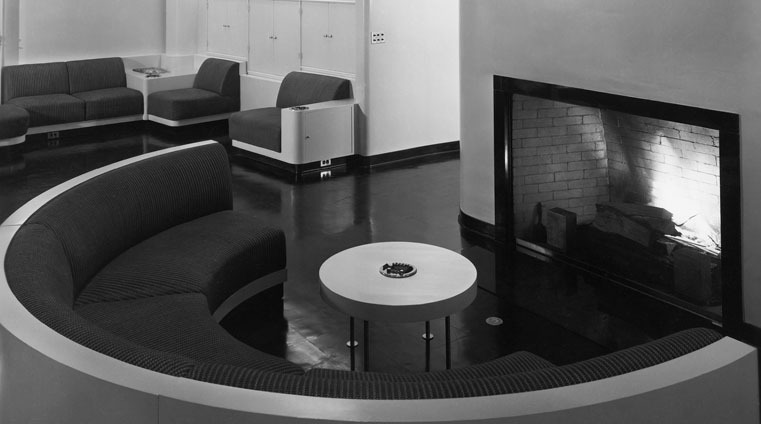 Kansas City Houses 1885-1938 reveals the significant but little-known architectural treasures built during the city's boom years. 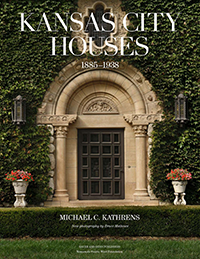 Architectural historian Michael C. Kathrens thoroughly documents forty superb houses that reflect the outsized fortunes of the influential Kansas Citizens who built them, including newspaper publisher William Rockhill Nelson, who helped establish the Nelson-Atkins Museum. The first survey of the rich architectural heritage of this major Midwestern hub, which straddles the state line between Kansas and Missouri, the book spotlights the work of highly accomplished architects, many of whom were based in Kansas City and have long been overshadowed by their high-profile East Coast counterparts; among them are Henry F. Hoit, Edward W. Tanner, Louis S. Curtiss, and Mary Rockwell Hook, one of the first women to study at the Ecole des Beaux Arts in Paris. 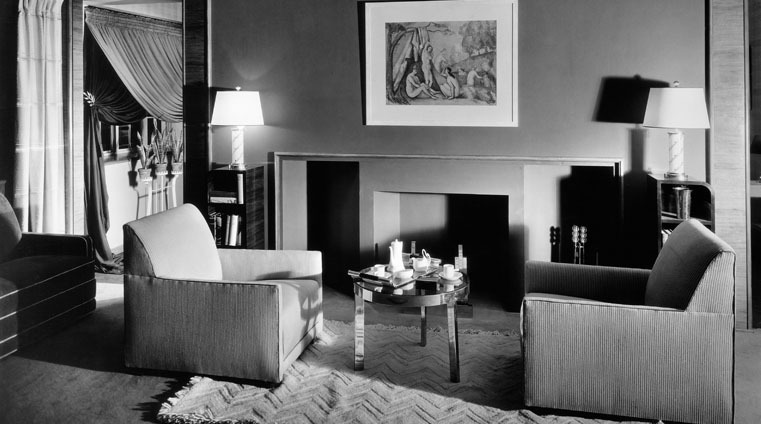 Kathrens's authoritative yet accessible text is complemented throughout by drawings, floor plans, archival images, and newly commissioned photographs. 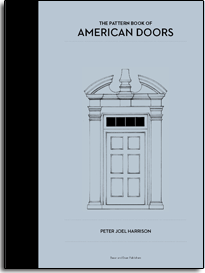 This vast collection of early American door styles from 1600 to circa 1860, is taken from the personal library and collections of Peter Joel Harrison. 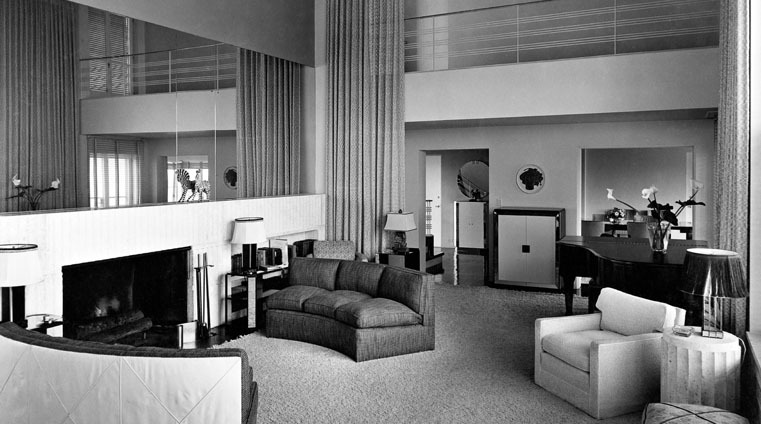 After thirty-two years of research and travel, Harrison has documented hundreds of doors from throughout America, more than eighty-four from historic properties, including Dutch, English, French and Spanish Colonial, Georgian, Federal, and Greek Revival, all handsomely portrayed. Over 250 hand-drawn illustrations of entry doors and door surrounds, including hinges, latches, knockers, corner blocks, and transoms, all rendered in a traditional 19th-century style and many paired with the source photograph reproduced in full color. A historically significant and fascinating book recreating life in 18th-century New England. 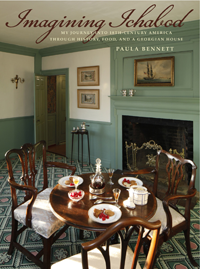 It is a memoir about the purchase and furnishing of a historic Georgian house-the General Ichabod Goodwin House-and also about the process of researching the house's original owners. 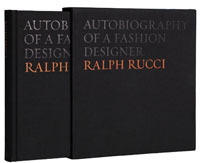 This photographic autobiography includes over 250 pages of color photography, narratives behind twenty objects Rucci has collected in his lifetime, brief descriptions of Chado's couturier techniques and staff portraits. 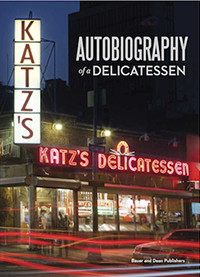 This first-ever book about Katz's Delicatessen indelibly captures the unique spirit and appeal of the Lower East Side classic. 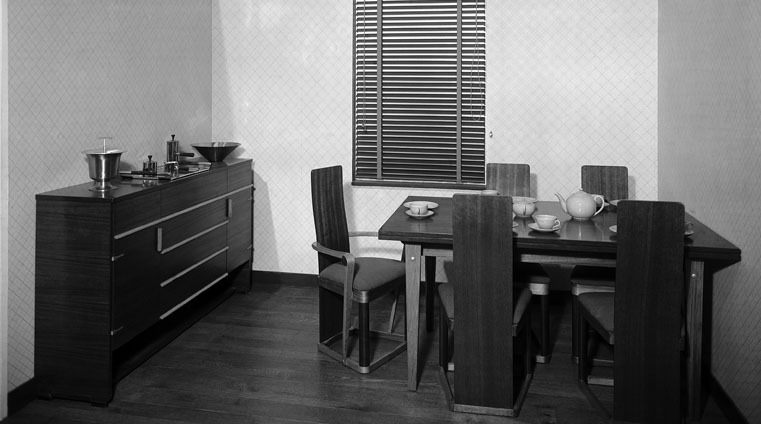 Timed to coincide with Katz's 125th anniversary, this special edition brings a bit of Katz's right into your own home. This much-needed volume records a comprehensive selection of classic models of lighting, from traditional to contemporary. 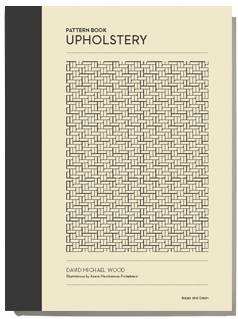 Soon to be the essential sourcebook for interior designers and architects, this book will also be an inspiration for lighting designers. 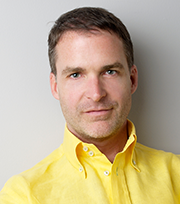 Author Thomas Fuchs is a well-regarded lighting designer who works most often with artisans in Murano to execute his designs. Drawn to the Murano artisans whose long manufacturing history goes all the way back to the 1600s, the designer likes to use glass because "the medium offers the design additional layers... texture, color, luminosity." Fuchs adds "glass is magic... one day it is sand, pigment and ash... and the next day it is an object." See our video interview with the author to hear more.